Disclosure: I received a complimentary membership from NotebookingPages.com through Schoolhouse Review Crew in exchange for a honest review. 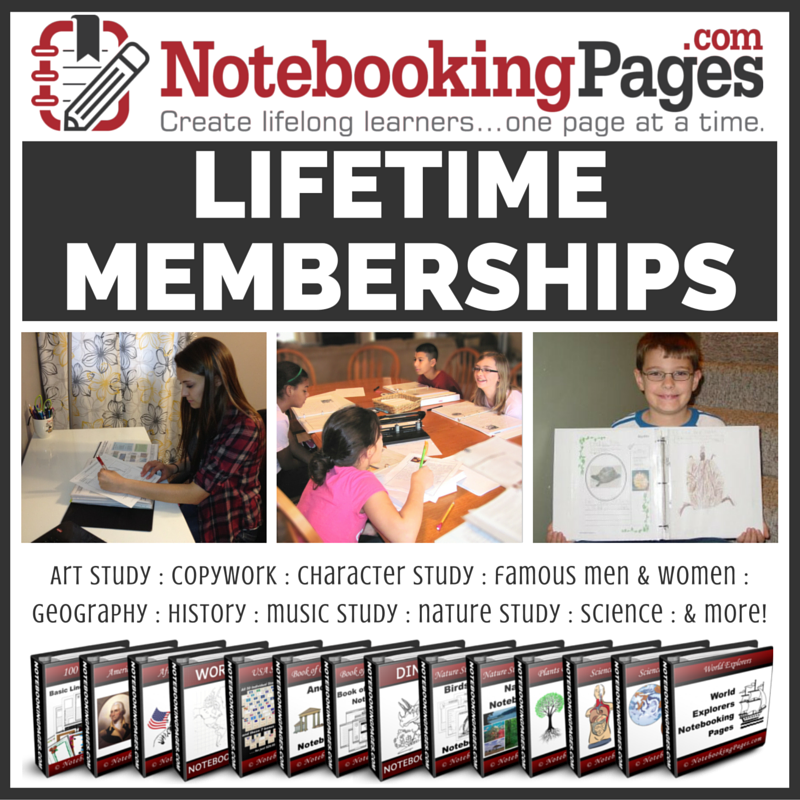 The Lifetime Membership from NotebookingPages.com is a great way to enhance learning and create a beautiful portfolio showcasing what you've learned. Notebooking is a way of displaying all of the hard work your child has done. It is a fun way for you and your child to learn together. Debra Reed, who is a homeschool Mom and the originator of NotebookingPages.com wanted to eliminate the busywork of having her children just fill out worksheets. Notebooking allows the child to tell a story and design what they have observed or learned. There is such a range of resources available on NotebookingPages.com, so learning about a certain subject becomes an adventure. Some of the subjects include Biblical characters, Famous People, Fine Arts and Historical Figures just to name a few. Dotted Line Notebooking Page for younger learners. Regular Lined Paper for older learners. Upon signing up for a membership, there is an Easy Start Guide that includes Notebooking Tutorials, Table of Contents (so you know what subjects or genres are available), and Preview Catalog for what you may want to use. There is also a Support Center, and Tips and Tools Archive full of helpful information on how to have the best experience notebooking. There is also a Bonus e-Gift Bundle worth over $100 that comes with the Lifetime Membership. For the first year of Membership, there is free access to the Notebooking Publisher Web-App as well. The Lifetime Membership gives you unlimited access to the 1000s of downloadable pages. It can be used for K-12 and includes different layouts for each subject. I liked how it offered regular pages, and also the dotted line pages that offer more spacing for K-2nd grade writers. It is very easy to search for what you are looking for because it is broken down by subject, A-Z, or there is also a Search tab where you can enter a word to see if what you are looking for is there. For instance, we are learning about ancient Greece so I typed ancient Greece in the Search tab. It was incredible the amount of links that popped up, each filled with numerous notebooking pages. We chose Aesop because we were reading some of Aesop's Fables. I had my sons draw pictures of the characters on their notebooking pages, and also had my oldest son do his math equations on the pages. They thought it was such fun to incorporate both math and reading into their notebooking experience. I wish I had known about this when we studied ancient Egypt, because there was just as many links on that subject with downloadable pages as well. There are so many resources here and I haven't even reached the surface of all that is available in this amazing Lifetime Membership. I loved how there was a Science section on the Solar System and also Geography had maps, flags of countries, and state birds and symbols. This will come in handy in a few years when we learn about the states. There are even History timelines and Biblical pages. NotebookingPages.com gives you and your child a starting point, and then the sky is the limit. I like that with the Lifetime Membership, I don't have to rush and download every single page that I need. I enjoy being able to know I have a place to go to find notebooking pages on a subject we are learning about when I need it. The membership also includes not only access to current notebooking pages, but to future pages as well. 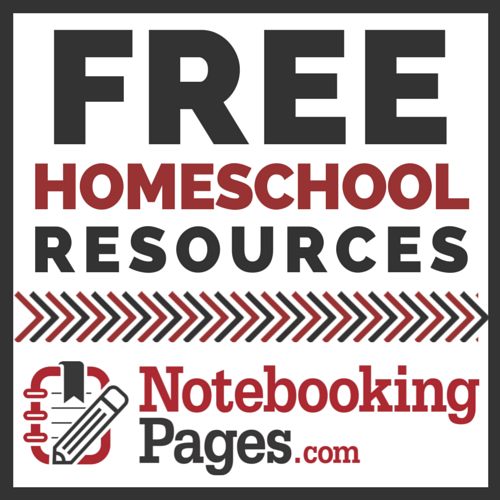 I would definitely recommend NotebookingPages.com to any homeschool family, or even to a classroom teacher who would embrace the concept of notebooking. I grew up in the public school system and I remember having to cram for tests so I could pass and get a good grade, and then all the information was gone after the test was over. I love the idea of notebooking because it has your child design and write what they are learning. Then they can communicate with you and explain why they drew or wrote what they did, and teaching something to someone is the best way to retain knowledge. I am learning that on our homeschool journey. I'm excited that all the work is done for the homeschool parent or teacher, and that it is such a user friendly program. It also leaves you with some special scrapbooking and memories of how much knowledge your child has learned. Click below to find out how you can get started using this amazing program with a free trial. To find out more, please visit NotebookingPages.com or click on their social media below. What a great resource for homeschooling moms. Thanks for sharing with us at Family Joy Blog Link UP Party this week. Happy 4th of July! I know this review is for the paid membership, but for now I just downloaded the free bundle because it will be our first experience with notebooking, and I want to see how things go first. Here's my question- do you know if there is a table of contents for the 676 page free bundle? I'm dying to use these pages but unless I print out all 676 pages right away, I have no idea where anything is. Sponsored: Book of the Month 30% Off in June!